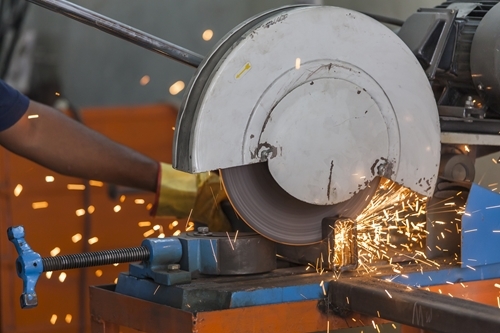 Many manufacturing companies are considering a step forward for their ERP use. With businesses looking to either upgrade their legacy systems or start using ERP for the first time, a lot of attention gets paid to a number of factors such as cost and versatility. However, some executives can get bogged down in details that don't necessarily correlate to long-term success when using these systems, so knowing what to prioritize during the selection process is key. The thing to keep in mind about adopting ERP in manufacturing, first and foremost, is that it's supposed to provide plenty of information about a company's ongoing processes across a number of factors, according to Supply Chain Digital. That data, in turn, is supposed to give companies impetus to trim inefficiencies in different areas as a means of both saving and making more money. In this way, ERP can pay for itself when implemented correctly. Because ERP-based decisions are only as good as the data on which they are based, it might also be vital for companies to make sure they're doing all they can to ensure proper data collection on an ongoing basis, the report said. For example, regularly checking on the quality of Dynamics NAV timesheet data is vital to ensuring the best possible choices to streamline efficiency. When it comes to guaranteeing maximum efficiency with new ERP systems, it's important everyone knows what they're supposed to be doing when it comes to using it, both when inputting and examining data, according to CIO Magazine. For instance, if workers on the factory floor make even a handful of mistakes in the data reporting process, the information that ends up in the ERP system won't be as good as it probably should be. For this reason, collaboration between execs and workers is crucial not only in the implementation phase, but also on an ongoing basis. The more homework companies can do to ensure the transition to new ERP is as smooth as possible, and that such systems are being used properly long-term as well, the better off all involved in that firm's manufacturing process will be.